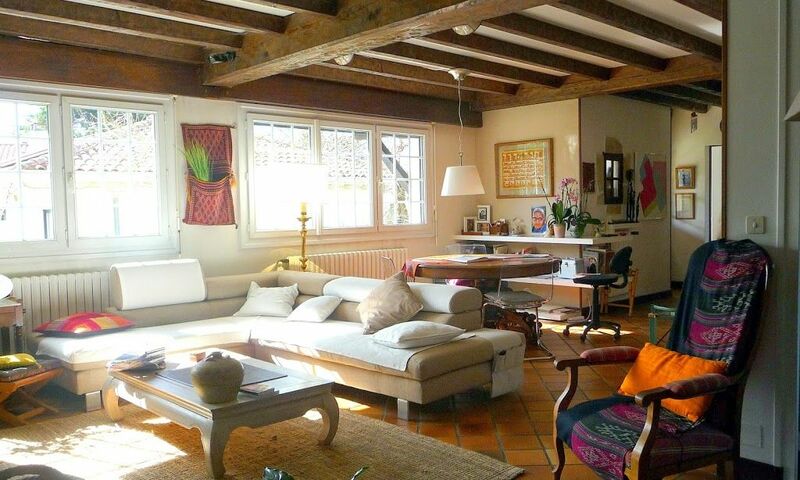 Great Basque style house, nice, bright and comfortable 10-minute walk from the beach of Marinella in Anglet. On the ground floor there is a spacious living room, a bathroom with toilet and a large kitchen of 30 sqm with garden front and back. Upstairs are 5 bedrooms, each giving the garden (3 rooms facing south-west towards the sea and two others to the East), a beautiful bathroom and a separate toilet.